A white Christmas is guaranteed here in Chicago. Plenty of snow covers the ground. If the temps stay in the 20s like today I won’t mind it too much but Winter has hit with a vengeance here in the Midwest. Over the last week, starting Tuesday December 16, still officially autumn, we have had 3 major snowstorms and most days the temps have been single digits–some with a minus sign. The first snow came during rush hour and my 45 minute commute took over 3 hours followed immediately by an hour of shoveling snow. The second storm was accompanied by high winds and single digit temperatures. The storm last night also hit at rush hour but apparently I was one of the few idiots still working. The driving was challenging, where was my dog team and sled when I needed it, but with few cars on the road the commute only took an hour and a half. It is only December with months of winter to go. Yes I am ready to get away to warm weather and sandy beaches. Something like this. In the meantime I will settle in my warm house, light Hanukkah candles, and sing Hanukkah and Christmas songs. Here is one of my favorite Christmas ballads. The following is something I captured on paper as I flew home Thursday December 4. I Just wish I could have captured the moment in pictures. This was my second flight of the day. Now heading from Charlotte to Chicago. I was in the aisle seat on the right side of the plane. The action was outside the window on the left side. It was a beautiful sunset sky. At the bottom of the frame was a black horizon stretching horizontally forever. Above the horizon layers of color formed and bled into one another. As my eye moved from low to high there the scene had a deep, rich reddish-orange at the base. Above that the layers grew progressively lighter, orange, yellow-orange, the a layer of sky blue topped by a thick layer of royal blue. Each color stood out clearly. So clearly that at first they seemed to be drawn one on top of the other. But after a few moments you would begin to notice how each layer bleeding into the one above. Orange into yellow and yellow into the blue. Ten minutes later the picture had morphed. The layers changed and became less distinct. On top of the dark horizon was a thicker layer of reddish orange. This was topped by a diffuse orange to yellow band. Now there was a hint of green. between this layer and the blue above. Minutes later the picture became fuzzy as this glorious palette of colors mixed together. Finally the blackness took over. I have been on dozens if not hundreds of flights at night and this had to be one of the most beautiful skies I had ever seen. The title paraphrases that great sailor philosopher Popeye. His more earthy version is, “I Yam What I Yam”. Well said, so simple and so true. (Visit Popeye here). Many of us try to be something we are not. Such an attempted transformation rarely lasts and is often transparent even to the most myopic observer. Think lipstick on a pig. More realistically many of us strive to push beyond our natural limitations. This is generally quite admirable. My caution is to be self-aware enough so that when you fall back to your natural state, for a moment or forever, you recognize that every moment you have surpassed your natural state has been a grand moment and that falling back into your natural state does not make you less. So, where is this coming from and where is it going you may rightfully ask. Over the last week or so I have had to face some facets of my self that I work hard to overcome because they limit me and what I can bring to the world. Lately I have fallen and I tend to beat myself up pretty hard for it–this, by the way is one of those facets. Writing about my foibles is partly a cathartic exercise. However, I work under the general assumption that feelings I have, others have. The sum of me is unique but many of the parts can be found elsewhere. So the other reason to write is to connect to the community of people who share parts of me. So now I am thinking about why I write this blog. Lets share the perspectives of some friends. Not long after I started I shared the fact that I blog with some long time friends. M, a woman, said something to the effect of ” Isn’t that a bit narcissistic. Why would anyone care what you write?” Maybe it is but so what? I harm no one. No one is required to read what I write. Yes if I was doing this strictly for me I could write a journal and not publish. However, I want to become a very good writer. The feedback helps for one. And for two, I enjoy the community, however small, that this blog creates. Now back to the regularly scheduled topic of the day. So how does this fear thing work with me. I see disaster around every corner. In small moments such as being in traffic and imagining accidents about to happen–all the time. In big moments it freezes me momentarily from doing things I know I should do. Left to my natural state I might not do them at all. I have learned to face my fears and then push through them most of the time. It takes its toll. It is a tough and tiring way to live. I am also a procrastinator. Many of the people who know me well know that one. I don’t know why. To do what I do for a living well, which I do, I need to be organized and to juggle multiple assignments. Here too I have learned to push through and to do tasks now, at least work tasks I am less good at personal tasks. What recent event brought on this wave of self awareness that I am taking my sweet time to share? My car shook. Starting on the drive into work Wednesday morning and on the way home from dinner, it shook constantly. Never before Wednesday. My Fear–I had screwed up the engine because was months late in getting an oil change. It may have been as much as 6 months (procrastination in case you missed it). I could hardly sleep that night and I was sick to my stomach all morning as I waited at the dealership. I was convinced that not getting a $30 oil change i was going to cost a $30,000+ car instead. Not a good time financially to do that. It ended up being some coils that were covered under my extended warranty. Replace the coils, get an oil change and fork over $89 and I was done. This is how most of my fears turn out. Much ado about next to nothing. However, I Yam What I Yam. If only something as simple as a can of spinach could change everything. Instead we persevere, being the best us we can be. I weigh less than Oprah. Though not by that much. 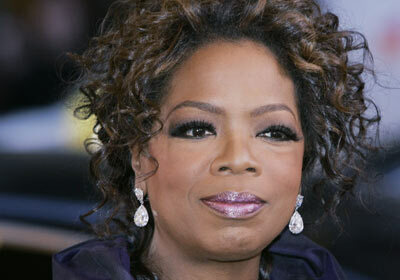 My bank account is also less than Oprah’s. By a lot. Every have one of those days filled with little annoyances? At some point all you want to do is bury yourself in comfort food. Sunday was one of those days for me. My kid had one of those rude, dad- you – are -so-stupid tones from the moment he woke up, at noon. Too many stores and too many slow lines. One woman kept the line waiting as she agonizingly slowly counted out her change to pay a small grocery bill. At another store we all waited and waited in the express lane–I had one item–while the 16 year old cashier kept calling for someone 21 or older to come and ring up a bottle of wine. It was 20 degrees out. I entered my last store cold, tired and hungry. Trepidation filled my every fiber as I entered another florescent lit layer of hell. Then rising like a magnificent mountain of all that is good, directly ahead of me it stood. A huge display of assorted Little Debbie cakes and cookies. It was all I could do to summon the self-control to not fill my cart with boxes of Oatmeal Creme pies and Fudge Rounds. An image jumped into my mind of me on my couch, warm, consuming a box of each and letting the sugar induced coma take me to a better place. I was able to just buy what I needed and go home. But the dream lives on. Think Latin Jazz ensemble with a Jewish harmonica player as the front man. What more is there to say? I enjoy Latin music and my wife is a big fan. It was her birthday, we took a chance. We do not go to many concerts or visit the almost infinite number of music venues in the Chicago areas. We both enjoy music but I am an early guy and headliners in clubs usually start too late (for me). The opportunity to do something a little different presented itself. The venue was newly opened, not far from the house (though in a rough neighborhood) and the music started at 8. Even I could handle that. First the visuals. With no one on stage, the instruments were imposing. In rows. Row one. Piano stage left, moving right to 3 large congas with silver chimes, on to a drum set connected to a set of bongos and gold chimes longer than the silver ones. Finishing off the front row are stands with sax and flute, then trumpet, the kind with the horn extending skyward. The second row was rhythm guitar, bass and two electronic keyboards forming a right angle—the word Moog (as in synthesizer) written on the one facing the audience. Finally in the back was a full drum set complete with large cymbals. On came the band members. Only the three percussionists looked as if they belonged in a Latin jazz band. The others were standard white guys. Interesting set of shapes. Two were short and round. Howard Levy, the harmonica-piano guy is long and slender. The others were average height mostly slender. Trumpet-flute guy was the only one who looked unhappy to be there. The others wore expressions ranging from modest amusement to joy. Last of the memorable visuals. The Blur. We were close enough to have see hands fly. Whether Howard on piano, Joe Rendon on congas or Ruben Alverez on bongos the speed of fingers and hands were amazing. Blurred motions leading to a cacophony of individual sounds. Yes finally to the sound of Chevere de Chicago. As you might expect a heavy dose of percussion. Percussion in extreme varieties of rhythms, tones, volumes and combinations. The horns, guitar, bass, piano or the occasional vocal would join in. The numbers were long, would wane and wax and were joyous. The only negative part of this wonderful, new room was that there was no dance floor. The music made you want to dance. The penultimate piece was not as lively but extremely beautiful. It was a tango written by the band leader Alejo Poveda for his daughter. One last thing about the music. I have heard for years about the harmonica skills of Howard Levy. I am accustomed to the harmonica sounds of the blues. A few individual notes wailing perhaps but mostly chords. This was the first time I had ever experienced the harmonica as an instrument of melody. Crisp individual notes as beautiful as a piano. I wish I had not waited twenty years for my first Chevere experience. It will not be that long until the second.